In the soils of the world's cereal fields, a family tussle between related species of fungi is underway for control of the crops' roots, with food security threatened if the wrong side wins. Beneficial fungi can help plants to protect themselves from cousins eager to overwhelm the roots, but it's a closely fought battle. Working out the right conditions to support those beneficial fungi and identifying the cereal varieties that are best suited to make the most of that help is no mean task, but now a young team of scientists from Rothamsted Research has come up with some answers. Their complete findings are published today in the Journal of Experimental Biology. Take-all is a devastating root disease of cereal crops worldwide caused by the fungal pathogen, Gaeumannomyces tritici. Related species, notably G. hyphopodioides, are capable of immunising plant roots against the pathogen. Farmers struggle to control the disease because few chemical seed treatments are available and current biological strategies are hindered by the variety of soil types. "This work aimed to explore whether wheat genetics can be exploited to help support and potentially build up populations of closely related take-all suppressing fungal species that are known to lower the disease levels caused by the take-all fungus," says Vanessa McMillan, co-author and postdoctoral researcher in plant pathology. The team collected samples of the beneficial fungus from the fields of Rothamsted Farm and developed a laboratory test to explore their ability to colonise and protect the roots of barley, rye, wheat and the rye/wheat hybrid, triticale. In field trials, the team identified commercial cereal varieties that performed better than others. "If the ability of wheat cultivars to support and be colonised by natural or introduced populations of beneficial Gaeumannomyces species could be harnessed and exploited, either through a seed dressing or via direct application into a crop's rooting zone, this could provide a potential biological management strategy for the control of take-all disease in wheat crops," notes McMillan, who leads the take-all research group at Rothamsted. Understanding the complex interactions between the fungi and the cereal hosts will yield more information for developing strategies to control the disease. "The future of take-all control cannot rely upon a single solution to combat the disease," says Sarah-Jane Osborne, whose Ph.D. in crop pathology focused on this research. 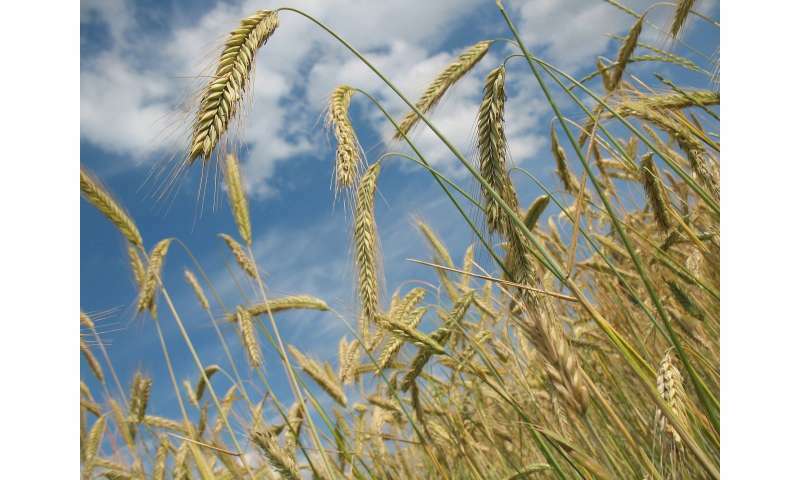 "The results of our study show that certain current winter wheat varieties can strongly support naturally occurring populations of take-all suppressing fungi. "If this ability can be harnessed, it could aid in decision-making when selecting varieties to grow as an additional practical solution to manage take-all disease," adds Osborne, who is now Field Trials Manager in Crop Production Systems at the Agriculture and Horticulture Development Board (AHDB). "Our ability to manage take-all is currently limited and having an effective genetic solution would be very beneficial to growers," says David Langton, Head of R&D and Stewardship at Agrii, a company of agronomists. "Therefore, Agrii was pleased to support Sarah-Jane's Ph.D. to develop a better understanding of the disease and potential management options." Additional positive endorsement of the research comes from Simon Oxley, Head of Crop Production Systems at AHDB, which also supported Osborne's Ph.D. studies at Rothamsted and the University of Nottingham: "Take-all is a damaging root disease that can cause major yield and quality losses, particularly in subsequent wheat crops, as pathogen pressure builds in the soil. "Sarah-Jane's research is a step forward in understanding the complex relationship between variety, pathogen and potentially beneficial root colonising fungi. I can foresee a time when growers will be able to select varieties that combine positive characteristics to minimise the damaging effect of this disease, thus contributing to the sustainability of crop production."